> Support > Resource > How to recover photo from Samsung Galaxy series? "I accidentally deleted all contents of "Camera" folder on my Samsung Galaxy S4. All the photos and videos that I had taken in the last 3 months were missing. (I forgot I ought to back them up...but I was planning to do it today. I have tried three programs so far, but none of them work! And Samsung Tech support has said that I have no choice. I would love to prove them wrong. Lot of photos are on it, is there any data recovery software for Samsung Galaxy? - Liken"
It is a bad thing to delete or formatted photos on Samsung Galaxy S series. No matter you are using Galaxy S, Galaxy S2, Galaxy S3, or the new released Galaxy S4, losing photos is possible to happen. If you find photos are not there, don't feel so sad that the files can't be retrieved again. Actually, these files are still there! Amazing Dr. Recovery can help you recover all deleted, lost, formatted photos from Samsung Galaxy S/S2/S3/S4. Step 1. Launch Amazing Dr. Recovery. Turn on the USB debugging mode on the phone and connect it with computer via USB cable. Step 2. Select "Photo Recovery" mode, select Samsung Galaxy drive, and hit "Next" button to start data scanning. Step 3. Preview and recover files. You are allowed to preview files under each category. 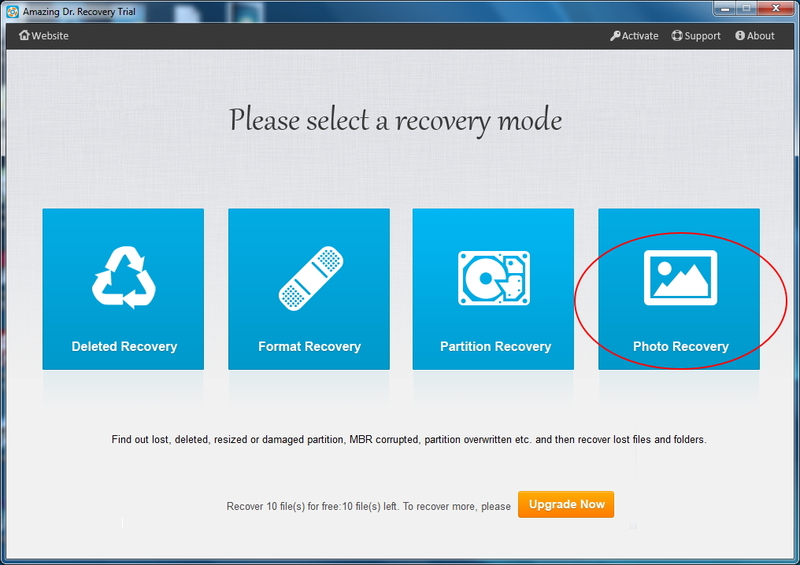 Tick items and click "Recovery" button to get lost/deleted photos back!